I’ve had an obsession with lemon flavoured things lately. Actually, every spring/summer when lemons are suddenly available in enormous bags for way less money, I go through this phase where I’m making lemon everything. No other ideas pop in my head – I just want all the lemon things, all of the time. Sweet, savoury – doesn’t matter, it should probably have lemon in it. 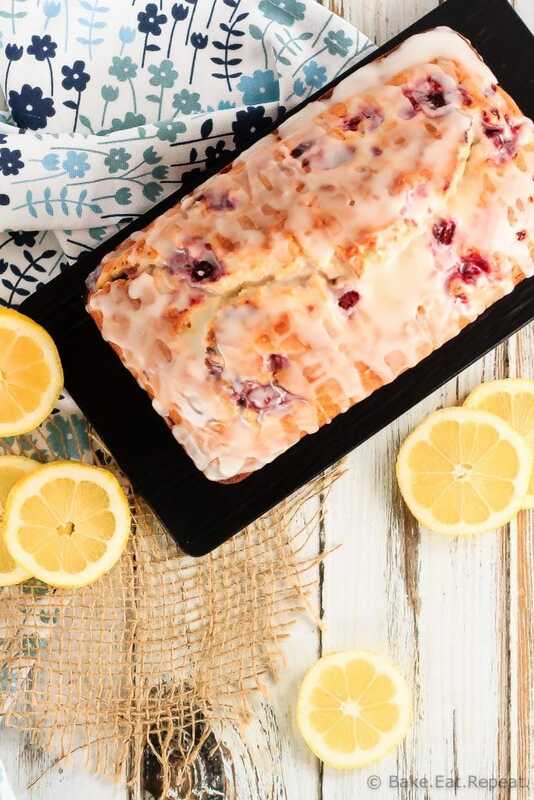 This glazed raspberry lemon bread is one of the best things to come out of my kitchen lately. I made it twice in two days and it didn’t take a whole lot longer to disappear. So I’ll probably be making it again soon! It’s the perfect treat with my mid-morning coffee, or to give to the kids for an easy snack. 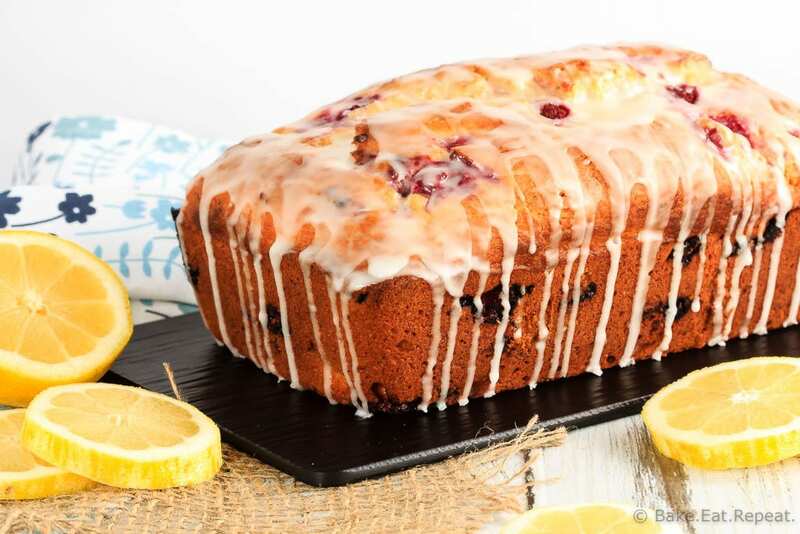 It’s even delicious without that tangy lemon glaze if you want to make it a bit more appropriate for breakfast – and less dessert like. If that’s your thing. 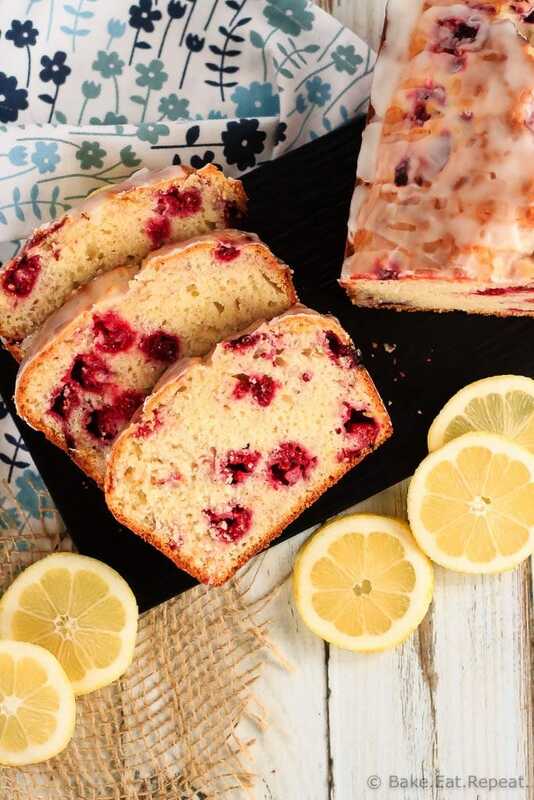 I, on the other hand, chose to cover this raspberry lemon bread with a sweet and tangy lemon glaze because it was delicious. And I have no regrets. This glazed raspberry lemon bread actually happened because we love these raspberry lemon cookies so much that I decided we needed more raspberry lemon things in our lives. So I think I can probably call this health food since I made it instead of cookies. Right? At least I can justify eating this for breakfast – and cookies don’t often qualify (unless they’re these healthy apple oatmeal breakfast cookies I suppose). Now I just need to see how many other things I can put raspberry and lemon in together. Because I clearly can’t get enough of that combination right now! looking for more lemon and raspberry? 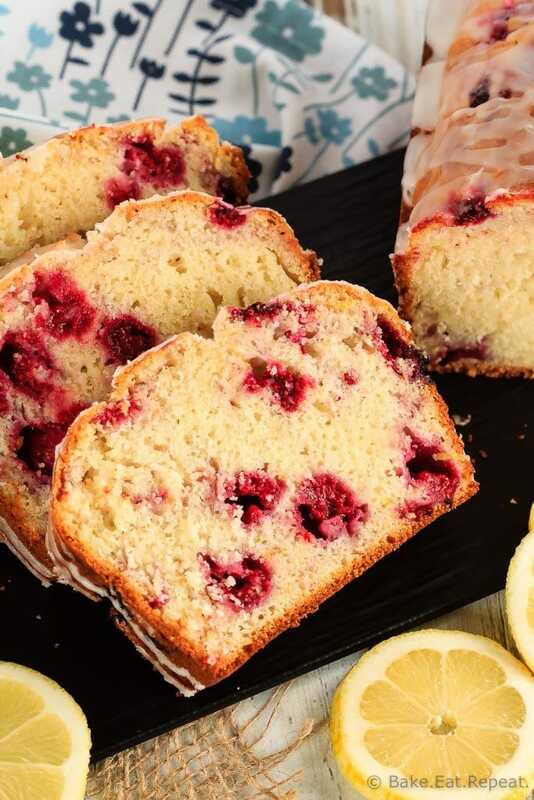 Try these Raspberry Lemon Cookies or these Lemon Raspberry Sweet Rolls. I’ve also shared this recipe over on Food Fanatic. Can I make this recipe into,muffins? I haven't yet, but it should be fine. It should make about 12 muffins. Bake them at 350F for about 18-22 minutes. Thank you for getting back with the answer to my question. I am planning on using one of your recipes for a brunch I will be attending with my Bible study friends. Wishing you a happy holiday season. Thanks! Hope you have a great holiday season too! Enjoy the muffins! Both of those recipes are hosted on Food Fanatic's website, so when you click the print button at the top of the recipe card it will bring you to the post on their site. It should bring up the print window for it as well, but if it doesn't you can scroll down to the recipe card and click the print button again and the print button should come up. If it still won't work for you let me know and I can tell them about the problem!